On February 8th 2017, MPs in the House of Lords gave Theresa May the green light to trigger Article 50. As an independent hotel management company, we were very interested in what this would mean for the hospitality sector, but it looks like there may be some positives. 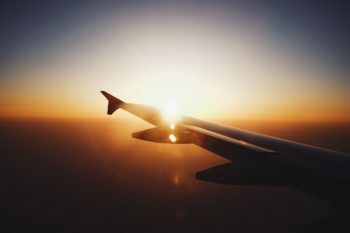 Flight bookings to the UK have increased by over 7% since Britain voted to leave the EU, with a large percentage coming from the US, according to travel analytics firm ForwardKeys. So, what does this mean for you and your hotel? And how can you best invest to make the most of this influx of Brexit tourists? On a purely cosmetic level, one thing that is definitely drawing in the sterling surfers is Britishness. This sounds obvious, but really playing on a heightened sense of Queen and Country could do your hotel wonders. Obviously, remaining on brand is key, but if you can sprinkle an extra touch of that quintessentially British charm on your hotel, then you will be giving the punter what they want. Think afternoon tea, fine china, plush tartans, wellington boots, London buses and fish & chips. PPC and social media advertising is a great way to target your advertising to specific audiences. From creating custom audiences based on data you already hold to targeting potential guests living in certain cities who have liked other UK hotels, the possibilities are endless. Appeal to US bloggers and publications to review your property as this will organically grow your brand awareness across the pond. Utilise targeted offers and landing pages, i.e. pages directed specifically at a US audience. Navigating this evolving Brexit market can seem daunting, but in the hospitality industry, there are certainly some positives to pull from these challenging circumstances. If you need any more help making the most of the ‘Brexit Boom’, then M&T’s hotel management services are here to help.